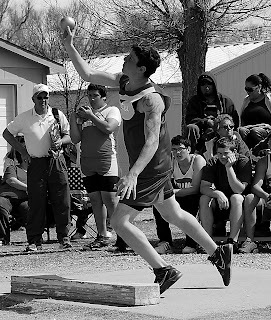 Competing in the Warren Mitchell Invitational at Limon last Saturday, April 6, the Genoa-Hugo track and field athletes turned in some excellent results. Pirate senior Jacob Piper led the team’s results with a second place in the high jump with a leap of 5 feet, 8 inches. The winning effort was 5 feet, 10 inches. “Jacob’s results in the boys high jump are still a little below what he did last season, but he still has a ways to go yet,” Mallory said. Piper also earned a third-place finish in the triple jump with a distance of 39 feet, 2-1/2 inches, and a seventh place in the long jump with a season-best leap of 18 feet, 4-1/2 inches. Genoa-Hugo sophomore Wyatt Vick earned a sixth place and a personal record in the triple jump with a distance of 37 feet, 8-3/4 inches. In addition, Vick earned a seventh-place finish in the high jump with a leap of 5 feet, 4 inches. 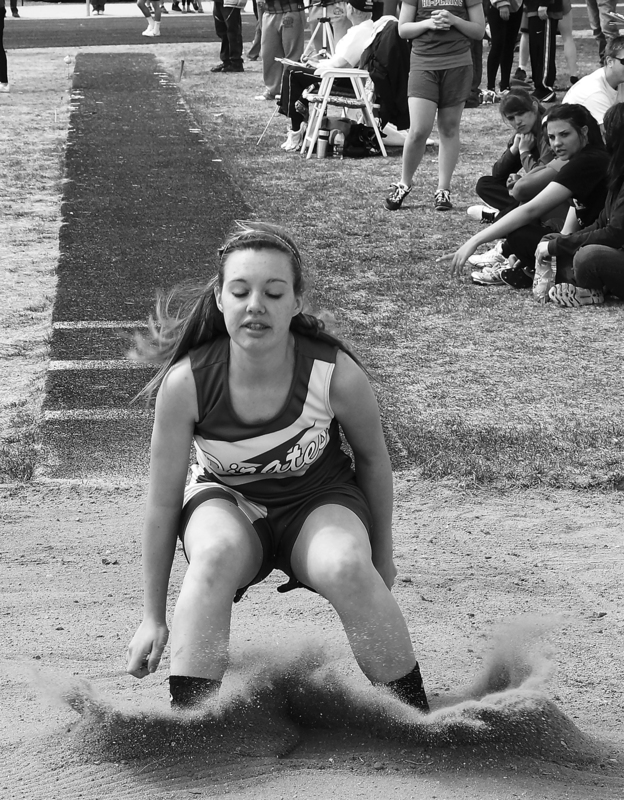 Competing in the girls long jump, Pirate freshman Taryn Book earned a personal record with a distance of 12 feet, 8-1/2 inches. She also placed ninth in the javelin event with a throw of 55 feet, 9 inches. Madaline Carr, another freshman, also earned a personal record in the long jump with 11 feet, 11 inches. In the boys events, Pirate freshman Shawn Ashmore raced in the 400-meter run. His time of 1:22 was a personal record. Bryson Herbert, a sophomore, ran both the 400- and 1600-meter races. His 400-meter time of 1:11.59 was 1-1/2 seconds better than his previous best time at the Elbert meet. He also earned a personal best in the 1600-meter with a time of 6:46.4, which was 11 seconds faster than his results at Elbert. 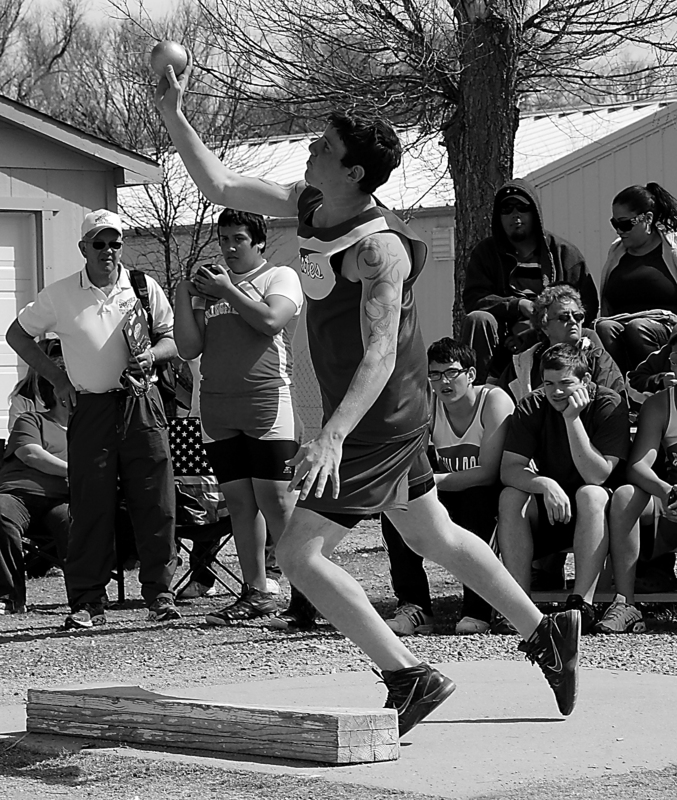 Genoa-Hugo freshman Cody Hurtado earned a personal record in the discus with a throw of 71 feet, 1 inch. He also posted a 30-foot throw in the shot put. Zach Bray, a senior, competed in the boys javelin event Saturday, but no official results are able to be posted due to an equipment failure. Freshman Jesse Sage’s javelin results were also impacted by the equipment failure. In addition, he competed in the 100- and 200-meter dashes, but those results were unofficial because of wind conditions. 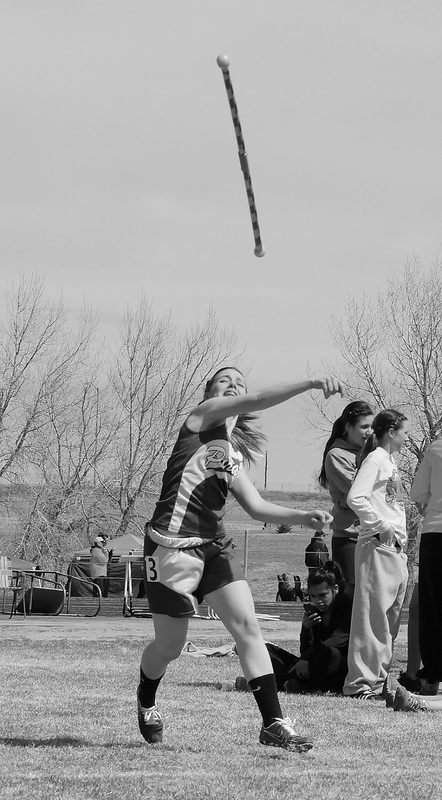 The Pirate tracksters will return to action this Saturday, April 13 for the Byers Invitational which will be held at Strasburg. Fifteen teams are expected to compete. Mallory is expressing his thanks to Charla Book for taking photographs at the team’s meets.